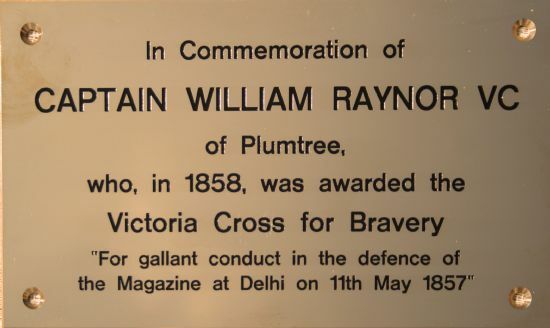 William Raynor was born in Plumtree in 1795, joined the Honourable East India Company  and had a distinguished military career which culminated in his heroic defence of the Magazine at Delhi during the Indian Mutiny, an act for which he was awarded the Victoria Cross. 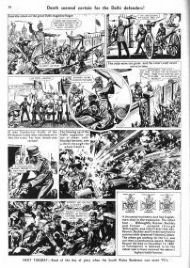 This page summarises the life of Captain Raynor, how he won his VC, how it was sold and bought back again, and how he is commemorated in Plumtree, the village of his birth. William Raynor was born in the village of Plumtree, Nottinghamshire. His parents were John and Elizabeth Raynor (neé Tongue) who were married on 22nd January 1793 in St. Mary's Church, Plumtree. William had an older sister, Mary, who was baptised in St. Mary’s Church, Plumtree on 18th January 1794 but died in infancy (buried 22nd June 1795). William's parents, Elizabeth (who died in July 1819, aged 63) and John (who died in October 1819, aged 57) are both buried in Plumtree churchyard. William was baptised in St. Mary's Church, Plumtree. Enlisted in the Service of the the Honourable East India Company . Arrived in India in the HEIC's ship "Hugh Inglis" having been allotted to the Bengal European Regiment. William Raynor married Mary Wilkinson, a widow (who, sadly, died in 1819). Appointed a Sub-Conductor  in the Ordnance Commissariat Dept. and was soon afterwards posted to the arsenal in Fort William. Promoted to the rank of Conductor  and posted to the Magazine at Cawnpore (at which station he served uninterruptedly for more than twenty years). Promoted to the rank of Deputy Assistant Commissary of Ordnance and posted to the Delhi Magazine (in which he served for nearly fourteen years). Promoted to the rank of Assistant Commissary of Ordnance. Advanced to commissioned rank (Commissary of Ordnance) and appointed a Lieutenant of the Veteran Establishment. This type of promotion was almost unheard of within the East India Company's army, a substantial achievement. Posted to the Magazine at Ferozepore, but was directed to continue doing duty as a temporary arrangement at Delhi. He was in Delhi at the outbreak of the Indian Mutiny in 1857. The 1850s saw a deterioration in relations between the British officers and the Indian other ranks in the East India Company's Bengal Army. Many Indians believed that the British were seeking to destroy traditional Indian social, religious and cultural customs, a view shared by the sepoys of the Bengal Army, a substantial number of whom were high-caste Brahmins. Discipline, administration and command in the Bengal Army had for some time been inferior to that in the East India Company's other two armies and matters were brought to a head by the introduction of the Pattern 1853 Enfield Rifle. The rumour spread that its cartridges were greased with pig and cow fat, thus offending both Moslems and Hindus. In February 1857 the 19th (Bengal Native) Infantry refused to use the cartridges. They were quickly disbanded but their actions were to spark a chain of similar events through central and northern India. 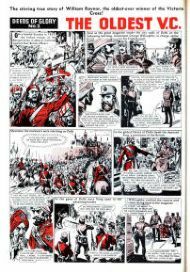 The Mutiny - more commonly known in India as 'The Uprising' - began in earnest at Meerut on 10th May 1857 when 85 members of the 3rd (Bengal) Light Cavalry who had been imprisoned for refusing to use the cartridges were rescued by Indian comrades. The following day Delhi fell to the mutineers. News of these events spread rapidly, leading to further mutinies elsewhere. Eventually all ten Bengal Light Cavalry Regiments and most of the 74 Bengal Native Infantry Regiments were affected. Some regiments were disarmed before they had the chance to mutiny while in other cases British officers simply refused to doubt the loyalty of their men until it was too late. Many local rulers supported the mutineers, having been alienated by the East India Company's annexation of native states. There were only 35,000 British soldiers in the whole sub-continent and these were widely scattered. Furthermore, reinforcements took months to arrive. Fortunately for the British the Mutiny was almost exclusively confined to the Bengal Army. The Company's Madras and Bombay Armies were relatively unaffected and other units, including Sikhs, Punjabi Moslems and Gurkhas, remained loyal. The recapture of Delhi became a priority for the British. On 7 June 1857 a hastily-raised force of 4,000 men succeeded in occupying a ridge overlooking Delhi but was far too weak to attempt to retake the city itself. Faced by over 30,000 mutineers they came under increasing pressure themselves and began to suffer losses through cholera. However reinforcements gradually arrived from the Punjab, including a siege train of 32 guns and 2,000 men under Brigadier-General John Nicholson. By 14 September the British had about 9,000 men before Delhi. A third were British while the rest were Sikhs, Punjabis and Gurkhas. Breaches were made in the city walls, a gate was blown and after a week's vicious street fighting, Delhi was back under British control. Although operations continued until 1859, notably in central India, the recapture of Delhi proved a decisive factor in the suppression of the Mutiny. The troublous times of the Indian Mutiny brought to light many examples of bravery, devotion and self-sacrifice, but it was left to a little band of nine resolute men to perform the act which, of all the heroic ones of those days, will be the last to be obliterated by the hand of time. 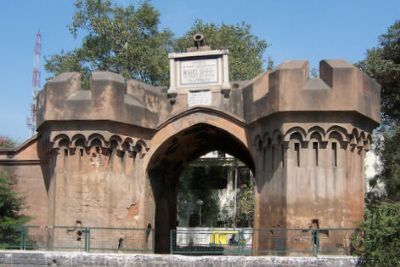 On May 11, 1857, the great Delhi Magazine, full of enormous stores of warlike material, was in charge of Lieutenant George Willoughby, Bengal Artillery, and with him were Lieutenants Forrest and Raynor, and six European soldiers. 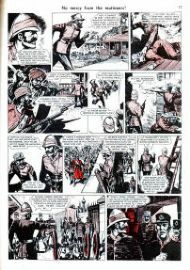 In the early hours of that day Willoughby was in the magazine when Forrest arrived with the Magistrate, Sir Theophilus Metcalfe, and informed him that the mutineers had crossed the river and entered the palace gates. Knowing well the value of the Magazine to the enemy should they contrive to storm and take it, and how much to our cause could he but hold it, Willoughby resolved to defend it to the last, always with the hope that our troops at Meerut would soon arrive to his relief. There were many natives on the establishment of the Magazine, but the officer saw they were not to be trusted, and he formed the heroic resolution with his eight British comrades to defend the Magazine as long as possible against the enormous odds and then at last, when overpowered, to blow the building into the air with all its inflammable contents and themselves to die at their posts. The gates were closed and barricaded, and guns were brought out, loaded with grape shot and placed so as to command the entrances. Should the enemy force their way in through these channels, their ranks would be torn to pieces by the point blank fire of the six pounders, and then if the little band should be overpowered, at a signal – pre-concerted by Willoughby – the entire place was to be blown up and any within its walls would perish. To this end a train of powder was lain from the outside to the Magazine, Scully, with heroic resolution, undertaking the firing of the train, this duty making death a certainty should the signal be given. Shortly afterwards a summons was brought from the King of Delhi, ordering the surrender of the Magazine. Contemptuous silence was the only reply given, upon which the enemy, bringing ladders, commenced to scale the walls, the natives in the establishment promptly joining their friends the attackers. Thus the resolute nine, left alone, faced Death with fearless hearts, and soon the guns sent volleys of grape into the midst of the storming parties. Gun after gun fired its rounds, served coolly and steadily, the heroic gunners under a hail of bullets from those of the enemy who had now scaled the walls. After a while the supply of ammunition brought up from the Magazine began to give out, and it was impossible for more to be fetched, no one being able to leave the guns for that purpose. Two of the gallant nine were wounded and the rebels were forcing their way in now on every side, and to his country's cause, Willoughby raised his hat – the signal arranged – John Scully applied the port-fire to the train and with an appalling explosion, the Magazine was blown into the air, more than one thousand mutineers being killed. Of the nine heroic men, only four escaped; Willoughby and Forrest joined a party of Europeans at the Main Guard in Delhi, so blackened as to be almost unrecognizable; the former being shortly afterwards killed in an encounter with the mutineers. Raynor and Buckley, taking different directions, eventually reached Meerut in safety. The splendour of this achievement, the nobility of heart of those who deliberately offered their lives in the furtherance of their country's cause, makes the Victoria Cross almost an insufficient reward. But, added to that decoration, and to perpetuate the memory of the heroic lives given for such a cause, a memorial tablet was placed over the gate of the old Magazine. Defended the Magazine of Delhi for more than four hours against large numbers of the rebels and mutineers, until the walls being scaled, and all hope of succour gone, these brave men fired the Magazine - five of the gallant band perished in the explosion, which at the same time destroyed many of the enemy. is placed here by the Government of India. Defence of the Delhi Magazine. Extract from G. O. C. C. dated 28th July 1857. No. 940 of 1857 - The Rt. Hon. the Gov. Gen. in Council is pleased to direct the publication of the following authentic report of the occurrences at the Delhi Magazine on the 11th of May last, when attacked by mutineers, and of the noble and cool soldiership of the gallant defenders commanded by Lieut. G. D. Willoughby, Commissary of the Ordnance. The Gov. Gen. in Council desires to offer his cordial thanks to Lieut. Raynor and Forrest, and the other survivors amongst the brave men mentioned in this report, and to express his admiration with which he regards the daring and heroic conduct of Lieut. G. D. Willoughby and the warrant and NCOs. by whom he was supported on the occasion. Their names are Lieut. Raynor and Forrest, Conductors - Shaw, Buckley, Scully, Sub. Conductors :- Crow and Sergts:- Edwards and Stewart. The family of the late Conductor Scully, who so devotedly sacrificed himself in the explosion of the magazine, will be liberally provided for, should it be ascertained that they have survived him. I have the honour to report for the information of Govt. and in the absence of my C.O. Lieut. Willoughby, Artillery, supposed to be killed on his retreat from Delhi to this station, the following facts as regards the capture of the Delhi Magazine by the mutineers and insurgents on the 11th instant. On the morning of that date, between 7 & 8 am. Sir Theophilus Metcalf came to my house and requested that I would accompany him to the magazine for the purpose of having two guns placed on the Bridge, so as to prevent the Mutineers from passing over. On our arrival at the Magazine we found present Lieut: Willoughby and Raynor with Conductors Buckley, Shaw, Scully, & acting Sub-Conductors Crow, and Sergts Edwardes[sic] and Stewart with the Native establishment. On Sir Theophilus Metcalf alighting from his buggy Lieut. Willoughby & I accompanied him to the small bastion on the river face which commanded a full view of the bridge from which we could distinctly see the Mutineers marching in open column, headed by the Cavalry, and the Delhi side of the bridge was already in the possession of a body of Cavalry. On Sir Theo. Metcalf observing this, he proceeded with Lieut. Willoughby to see if the city gate was closed against the Mutineers. However this step was needless, as the mutineers were admitted directly to the Palace, through which they passed cheering. On Lieut. Willoughby’s return to the Magazine, the gates of the Magazine were closed and barricaded & every possible arrangement that could be made, was at once commenced on. Inside the gate leading to the Park were placed two six pounders, double charged with grape, one under ccting Sub-Conductor Crow and Sergt Stewart, with the lighted matches in their hands & with orders [that] if any attempt was made to force that gate, both guns were to be fired at once, & they were to fall back on that part of the Magazine in which Lieut. Willoughby and I were posted. The principal gate of the Magazine was similarly defended by two guns, with the chevaux de frieze laid down on the inside. For further defence of this gate & the Magazine in its vicinity, there were two six pounders, so placed as either to command the gate & a small bastion in its vicinity. Within 60 yards of the gate & in front of the office, & commanding two cross roads were three six pounders & one 24 pounder Howitzer, which could be so managed as to act upon any part of the Magazine in the neighbourhood. After all these guns & howitzers had been placed in the several positions above named, they were loaded with double charges of grape. The next step taken was to place arms in the hands of the native establishment, which they most reluctantly received, & appeared to be in a state not only of excitement but also of insubordination as they refused to obey any orders issued by the Europeans, particularly the Mussalman portion of the establishment. After the above arrangements had been made, a train was laid by Conductors Buckley, Scully & Sergt. Stewart, ready to be fired by a preconcerted signal, which was that of Conductor Buckley raising his hat from his head, on the order being given by Lieut. Willoughby. The train was fired by Conductor Scully but not until such time as the last round from the Howitzer had been fired. So soon as the above arrangements had been made, Guards from the palace came & demanded the possession of the Magazine in the name of the King of Delhi, to which reply was given. Immediately after this, the Subadar of the guard on duty at the Magazine informed Lieut. Willoughby & me that the King of Delhi had sent down word to the Mutineers that he would without delay send scaling ladders from the Palace for the idea of scaling the walls; which shortly after arrived. On the ladders being erected against the wall, the whole of our native Establishment deserted us by climbing up the slope sheds on the inside of the Magazine & descending the ladders on the outside, after which the enemy appeared in great numbers on the top of the walls & on whom we kept up an incessant fire of grape, every round of which told well as long as a single round remained. Previous to the Natives deserting us they hid the Priming pouches & one man in particular Kuram Buksh, a durwan appeared to keep up a constant communication with the enemy on the outside & keep them informed of our situation. Lieut. Willoughby was so annoyed at this man’s conduct, that he gave me an order to shoot him should he approach the gate. Lieut. Raynor, with the other Europeans did everything that possibly could be done for the defence of the Magazine & where all have behaved so bravely it is impossible to point out any individual. However, I am duty bound to bring to the notice of Govt. the gallantry of Conductors Buckley & Scully on this trying occasion. The former, assisted only by himself, load [sic] and fired in rapid succession the several guns above detailed, firing at least four rounds from each gun, & with the same steadiness as if standing on parade although the enemy were then some hundreds in number & kept up continual fire of musketry on us within 40 or 50 yards. After firing the last round Conductor Buckley received a musket ball in the arm, above the elbow, which has since been extracted here. I, at the same time, was struck in the left hand by two musket balls, which disabled me for the time. It was at this critical moment that Lieut. Willoughby gave the order for firing the Magazine, which was at once responded to by Conductor Scully firing the several trains. Indeed from the very commencement he evinced his gallantry by volunteering his services for blowing up the Magazine & remained true to his trust to the last moment. As soon as the explosion took place such as escaped from beneath the ruins & none escaped unhurt, retreated through the sally-port on the [river] face. Lieut. Willoughby and I succeeded in reaching the Cashmere gate. What became of the other parties is impossible for me to say. Lieut. Raynor & Conductor Buckley have escaped to this station. Severe indisposition prevented my sending in this report sooner. N.B. - After crossing the river on the night of the 11th, I observed the whole of the magazine to be on fire, so that I am in hopes that little of the property fell into the hands of the enemy. Park Sergt. Hoyle was shot about 11 am by the mutineers in attempting to reach the Magazine to aid in its defence. The above item was transcribed from William Raynor's hand-written report on the incident. A copy of the report was kindly suppled by Michael Long, William Raynor's great great grandson. For his bravery defending the Delhi Magazine during the Indian Mutiny, Lieutenant William Raynor was awarded the Victoria Cross. It was about this time that William Raynor was promoted to Captain, a rank he held until his death. William Raynor was aged 61 years and 10 months when he was awarded his Victoria Cross – the oldest recipient ever (a record which is unlikely to be broken since these days Army officers tend to retire at when they are fifty-five). William Raynor died of natural causes at Ferozepore in North India on the Indo-Pakistan border. aged 64 years 5 months. Note: Captain Raynor's tomb was originally a substantial monument surrounded by cast iron railings. The above image shows the site of the tomb after it was '...desecrated' to quote his great great grandson. Some of this land was turned by her and his children into a tea plantation, but probably most into a leper colony, which became known as 'Raynorpore'. Unfortunately, many of the family papers relating to it have long since disappeared, but the name may have survived in that of the town of Ranipur, near which there is still a large school for the children of lepers. William Raynor's VC had remained in the Raynor family since it was awarded in 1858. However in 1960/1961, Raynor's great grandson (who was a retired Indian Army colonel) reluctantly had to sell the medal when a combination of factors put the family in financial straits. The medal was sold by Spink Dealers and Auctioneers to an anonymous American collector. Issue No 2 of 'The Hornet' features the attack on the Delhi Magazine in its 'Deeds of Glory' feature under the title 'THE OLDEST VC'. Click on the images below to read the story (opens a PDF document). The William Raynor VC came up for auction. 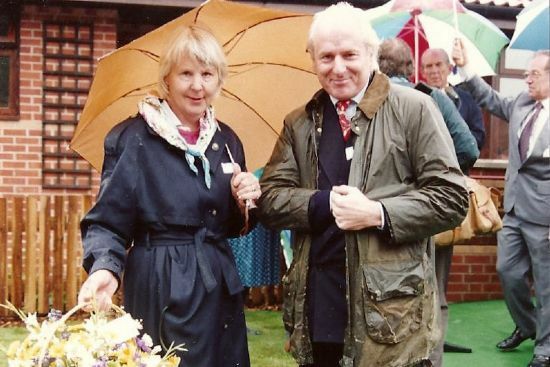 William's great-great grandson (also called William) and great-great granddaughter (Shirley) were determined to buy it back and, via a benefactor, they successfully raised the £11,000 needed to secure its purchase. The medal was again sold by Spink Dealers and Auctioneers. The medal was displayed in the RAOC Museum alongside the Victoria Cross awarded to Raynor's colleague, William Buckley. Note that the RAOC Museum is now part of Royal Logistic Corps and is based in The Princess Royal Barracks, Deepcut. The Raynor family is very happy now that the medal is in the safe hands of the RAOC. Sadly, it is not currently on display but is stored in the bank; it can be viewed, if requested. As part of preparations for National Housing week (7th to 13th June 1993) during which two semi-detached bungalows were to be built on Church Hill, Plumtree Parish Council decided that they would like to name the bungalows 'Raynor Cottages' in honour of William Raynor. They wrote to the curator of the RAOC in an attempt to trace any surviving relatives of Captain Raynor. His relatives (William and Shirley, see details of the sale and recovery of the medal above) were duly traced and were invited to the "handing over of the keys" ceremony to be held on June 14th. Work starts on constructing Raynor's Cottages. Photographs of the cottages being built. 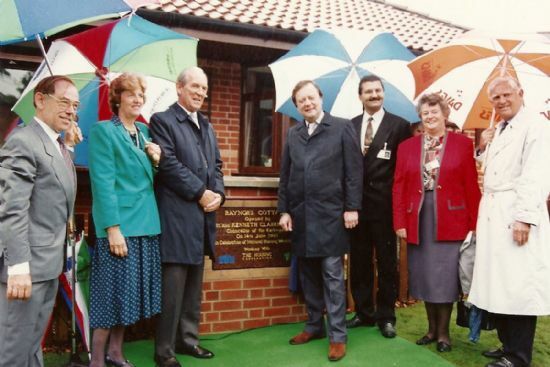 Raynor's Cottages opened by Rt Hon Kenneth Clarke QC MP, Chancellor of the Exchequer in celebration of National Housing Week 1993. William Raynor's great-great-grandchildren Mr William Raynor and Mrs Shirley Trollope. 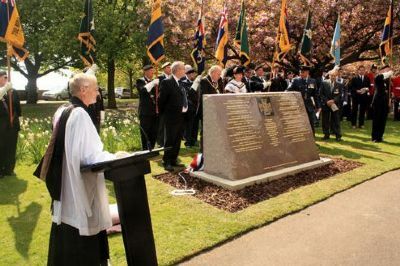 The Nottingham and Nottinghamshire Victoria Cross Memorial Project's Memorial to Nottinghamshire's Twenty Recipients of the Victoria Cross is officially unveiled in the grounds of Nottingham Castle. 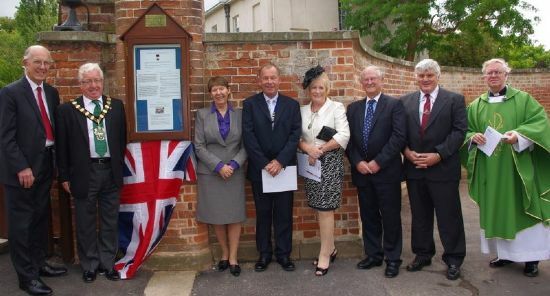 On the morning of July 17th 2011 following a service of dedication at St Mary’s Church, Plumtree, a brass plaque commemorating Captain William Raynor VC was unveiled. 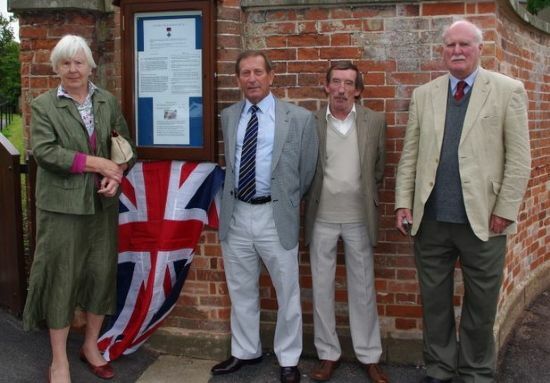 The plaque is attached to the apex of the oak notice board outside the west gate of the churchyard. From left to right: Nigel Cutts (Chairman of the Trustees of Burnside Hall, Plumtree); Gordon Moore (Mayor of Rushcliffe Borough Council); Kay Cutts (Leader of Nottinghamshire County Council); Mike Clark (Chair of Plumtree Parish Council); Mrs Georgina Moore (wife of the Mayor); Reg Adair (Nottinghamshire County Councillor); Ged Fletcher (representing Normanton on the Wolds Parish Council) and Revd Trevor Kirkman (Rector of Plumtree). Photo courtesy of Dave Voce. The church service and the unveiling of the plaque were both well attended and were a fitting tribute to one of Plumtree’s most gallant men. The East India Company was an early English joint-stock company that was formed initially for pursuing trade with the East Indies, but ended up trading mainly with the Indian subcontinent and China. On 31 December 1600, Queen Elizabeth I granted the Company an English Royal Charter, under the name Governor and Company of Merchants of London Trading into the East Indies. In the late 17th century, after a rival English company challenged its monopoly, the two companies were merged in 1708 to form the United Company of Merchants of England Trading to the East Indies, more commonly referred to as the Honourable East India Company and abbreviated HEIC. The East India Company traded mainly in cotton, silk, indigo dye, saltpetre, tea, and opium and came to rule large areas of India, exercising military power and assuming administrative functions, to the exclusion, gradually, of its commercial pursuits. 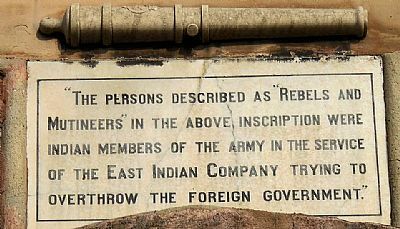 Company rule in India (which effectively began in 1757 after the Battle of Plassey, lasted until 1858, when, following the Indian Mutiny of 1857, the British Crown assumed direct administration of India in the new British Raj. Warrant officers in the East India Company's armies held the ranks of Sub Conductor and Conductor, serving mainly in the Ordnance, Commissariat and Public Works Departments. They were recruited from the Town Major's List which in turn was largely recruited from the NCOs of the Company's European regiments although occasionally NCOs of British regiments stationed in India were appointed to it. The Ordnance Department was the part of the military responsible for the supply of weapons and ammunition. The Commissariat was responsible for Army Supply, excluding weapons and ammunition. The Public Works Department was responsible for buildings, roads, irrigation and railways. North. - Major Lysters and the Rani Pokree Grants. South. - From the pillar on the east below Burcote passing thirty yards south of Major Lyster's south eastern pillar, thence due west to Jakhun. 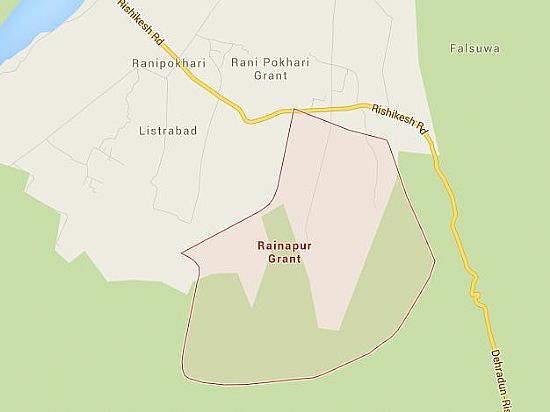 The area covered by the Raynor Grant (Rainapur Grant) is shown on the map below; note the adjacent Grants of Rani Pokree (Rani Pokhari) and Major Lyster (Listrabad).